In our rapidly evolving world, it has never been more important for kids to get to grips with STEM (Science, Technology, Engineering and Maths) subjects. Girls begin with the same enthusiasm and abilities as boys, but by the time they get to higher education and employment a gender gap appears, with women under-represented in STEM-related fields. The solution? It’s up to us to spark girls’ interest in STEM, and it starts young. Here are the best ideas to make STEM fun for girls. Try these strategies with young girls and watch as their learning follows naturally from play! There’s nothing more powerful than having a real-life superhero to look up to. Is there a beloved science teacher in your daughter’s life? A relative working in tech? A friend who is a doctor? Bring them up in conversation or get together for a pep talk to open up your little one’s eyes to the reality of working in STEM. A great place to start is TED talks by female scientists speaking about their research, and looking to shape the future. Watch them together for inspiration! Children learn about and understand their world through play. This gives us a wonderful opportunity to show them that STEM is for everyone, not just boys. 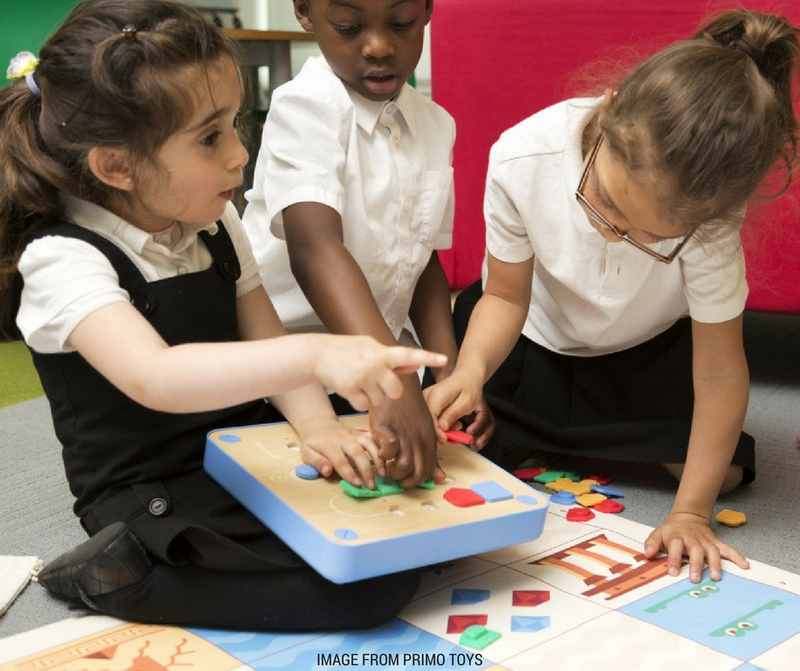 Building blocks help girls discover the basics of engineering, and traditional Montessori toys help to develop early cognitive thinking, which is the basis for any scientific endeavor. 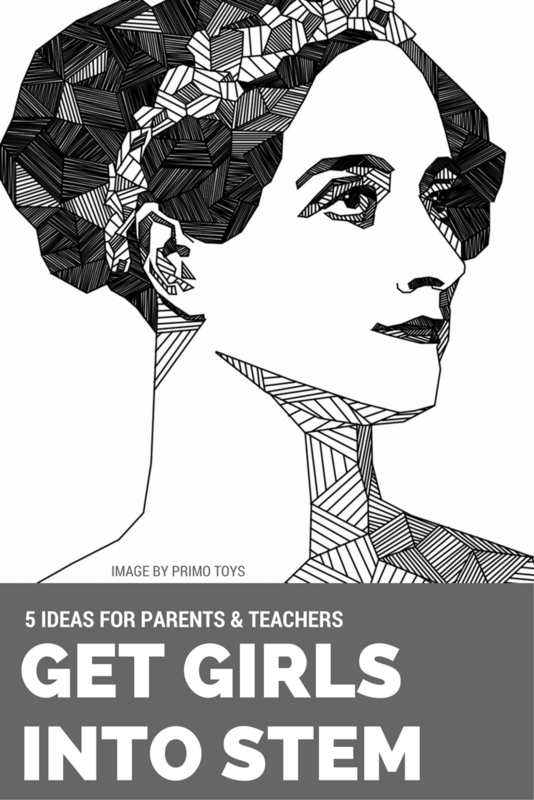 Remove the gender binary by providing children with educational toys aimed at developing their minds while their play, and make learning experiences inclusive from an early age. STEM involves understanding abstract concepts, but it also has innumerable practical applications. For children it’s best if we demonstrate theoretical concepts in tangible ways from an early age such as setting up easy science experiments to cultivate a sense of wonder about the natural world. Try making ice cubes with food coloring and watch them melt in the bath to illustrate freezing and melting or set up a simple baking soda and vinegar volcano science project no child can resist. Humans are social creatures, and more likely to engage in a pursue a passion with like-minded individuals. This remains a constant throughout our lives, and we can tap into the instinct from an early age. After-school coding clubs or science activities at museums and are great places to start, and there are resources online to help you set up your own local STEM group for your girl’s group of friends. As tech advocate and mother Randi Zuckerberg says, to make technology accessible to everyone, our best tactic is to start young. On March 8th every year, this global holiday and sociopolitical movement celebrates women’s accomplishments and rallies us to face new challenges for the future. The organization reveals the unacceptable statistic that gender inequality, at its current rate, won't occur until the year 2148. We can do better than that for our girls! In this time of global upheaval, it’s more important than ever for all of us to get involved, and every small gesture counts. Show your solidarity on social media for movements like #CodingGirls and #BeBoldForChange. Let’s show girls that change is possible, and they are as capable as the boys sitting next to them in class. After all, gender equality equates to a better world for everyone. Be part of the change! FTC Disclosure: Primo Toys provided the content and images for this post and ideas expressed are those of the author. However, no payment or other compensation was exchanged in connection with this post. See complete FTC Disclosure information that appears at the bottom of MommyBlogExpert's home page and at the bottom of every individual post on this blog, including this one. My kids love learning about science concepts at their young ages. I do believe kids should be introduced to STEM early on. I love this! STEM is the future, and our kids need to be at the forefront of it. Getting them interested now can set the up for success down the line. I think more girls are interested in stem then people really realize. I always like science even when I was a kid. I wish there were programs like this when I was a child I would've done them too. These are some awesome tips to leave parents and teachers in the right direction for their kids. My daughter loves math, science and engineering. She will build and invent all day. I definitely like the idea of starting a local STEM group if the kids are interested in these things. Toys that make these subjects fun are wonderful! The stats are staggering. There is so much gender inequality in the STEM fields. Showing our daughters that they can work in the STEM fields is important. They can do anything that they put their mind to. I have been working on getting my girls excited for STEM. There are some great toys available now. I am really lucky my oldest has a great Teacher that agrees STEM is important for girls to get into. I always buy gender neutral toys. My kids have been getting into coding a lot. I will have to look for some STEM activities to do with them. I can remember STEM from when I was in school, I was always excited about it, but I know that a lot of other people were not. It is really important that kids get into this program and get excited about it. Yes! I love this post so much. My middle daughter is signed up for a STEM camp this summer and she couldn't be more excited! My daughter loves STEM and I am so happy about it, because I wasn't as a child! I love the idea of International Women's day and empowering our young women. I encourage my daughter to embrace math and science as much as the humanities.